Select the Benefit type (Only LPG available). Choose the scheme name BPCL for Bharat Gas, HPCL for HP Gas and IOCL for Indane Gas. 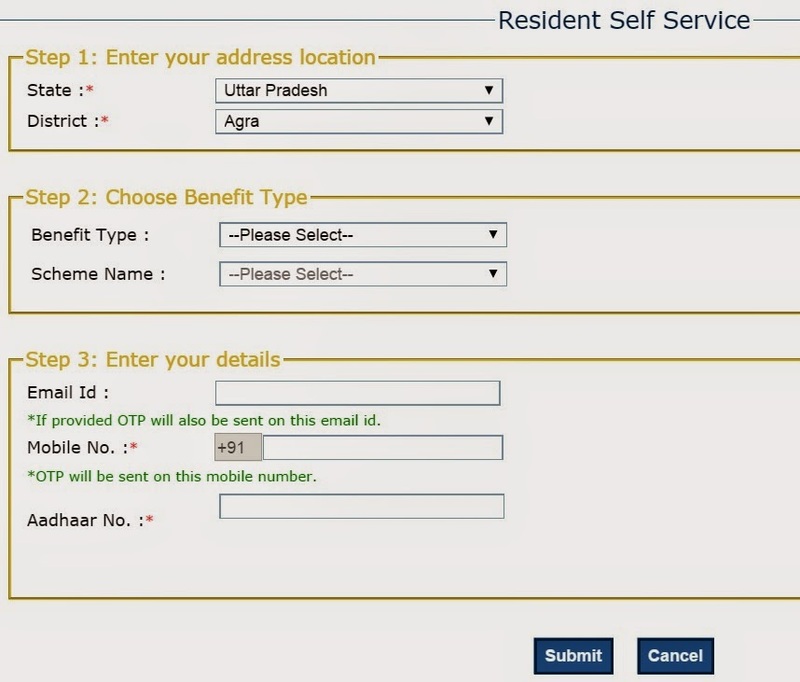 Enter your 12-digit AADHAAR number, & Contact Details (Contact Detail – Mobile number and email.). You can also link your AADHAAR card number by sending SMS to 51969. Other such similar identity documents with residents of India. There are two ways to connect your AADHAR card with your bank account. One you can fill up all the details online if your bank provides online linking of your AADHAR with your account else you can visit the nearest branch and fill out and form and submit. Currently State Bank Of India doesn not provide any online provision to connect your aadhar and bank account. ICICI bank users will also have to visit their nearest branch or respective branch. For any question, query or suggestion do comment below. All the details that are given above, users are requested to double check and verify it before coming to any conclusion. Governments keeps changing it's scheme so you should verify it form a government's website. What are the benefits of linking an Aaadhaar card and an LPG Gas Connection? Direct Cash Transfer Benefit that means subsidy amount is directly transferred to your bank account. And also that no one can falsely use your name to get benefits and help in checking corruption. Government is making improvements.